Very relaxing - excellent! Will return. "Very relaxing experience at a great price!!" "Relaxing facial and she goes over everything and answers any questions I had. Friendly and well educated. Would go back for more facials, enjoyed my experience and a great price"
This was definitely one of the best facials I have ever had in my life!!! Super professional, relaxing atmosphere, wonderfully comfortable bed! I will Definitely be returning! "I couldn't have been more happy with my facial and overall experience. My skin is radiant!" Excellent experience! Really Enjoyed my facial! Thank you for a wonderful, relaxing time! "I had my first Microdermabrasion with pumpkin facial with Jacqueline and it was AWESOME! The combination of good smelling room, warm bed, and the masterful facial skills of Jacqueline led me to a very relaxing experience! I am looking forward to my next facial appointments!" "Great service. Jacqueline is basically the best ever. Fair Prices, nice building, was very clean. I will be back." "I did a lot of research and decided to give this place a try... One of the best facials I ever had!!! Hands down. I will be coming back soon! " "Perfect, very professional. Always love being pampered here!" "My midday relaxation was just what the Dr. ordered! Best birthday present ever. Thank you so so much!" "I can honestly say that you give the best facials that I have ever had. I didn't know what I was missing until you were gone! I would love to have you back." "I'm getting compliments on my skin! That's never happened before! Your magic miracle work is really making a difference! Thank you thank you thank you!" "I enjoyed getting my skin care treatments from Jackie. She took time to explain the procedures, provided services with care in a relaxing environment. 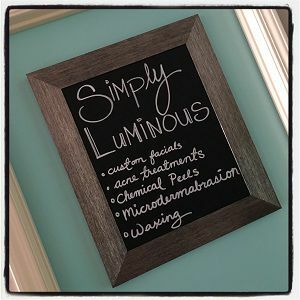 I highly recommend Simply Luminous for skin care treatments :)"
"After a long and stressful week (and a little too much sun on my face over the weekend), I went to see Jacqueline at Simply Luminous. The treatment I received was nothing short of amazing and left me feeling renewed, and a little less sunburned than before. Jacqueline was incredibly personable and knew exactly how to treat my skin type. I'll be back for sure and highly recommend Simply Luminous, whether it be for a one time treat, or ongoing skin care." "Love it!! Great facial ! The treatment room was heavenly and comfortable. Jacqueline was warm and knowledgeable. 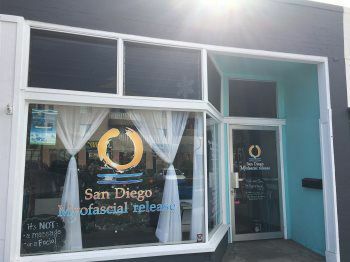 I would recommend this to everyone in need of repair or simply in need of pampering. . Not only was my face left feeling completely revitalized and free of any blemishes, but I forgot how nice the upper-body massage was. While letting the mask work it's magic, Jackie works on your neck/shoulders and arms. It's like getting 2 services done at once. I received a hydrating facial with microdermabrasion and Hydrasonic cleanse. Thanks Jackie and see you soon!" "I had the best facial here! I felt so incredibly relaxed and it was the perfect getaway from my stressful workday. Jacqueline was very informative as she examined my skin, giving me helpful tips and telling me which products would work best for my skin. She gave me the VIP treatment and I'm so glad that I went for it and booked with her! I needed it and my skin still feels wonderful, I feel wonderful!" "I want to say a BIG THANK YOU to Simply Luminous for taking care of my honey today with a gift of "The Royal Treatment " offering their time and special care for Carmen Gonzalez during her 1 year of fighting Stage 4 cancer. It was an amazing phone call to receive with this gift for my wife, people with BIG hearts are still out there." "This was absolutely heavenly. My skin feels so good and looks great too. Thank you." "Jacqueline is professional, knowledgeable and very friendly. She did a great job and provided great advice for face cleaning in between visit. I will definitely be back!" "I recently was treated to a Amazing Facial by Jacqueline Ryan a Wonderful well knowledge Master Spa Therapist and Esthetician. It really doesn't get any better than this. I personally am a Massage Therapist in much need for some personal care and I recently came to Simply Luminous after hearing great reviews. I was not let down Jacqueline she is very personable and inviting. The space is very relaxing and comfortable. I received a "Stem Cell Infusion Facial" that felt amazing. Jacqueline explained the step by step process with great product knowledge allowing me to feel like I was in great hands. I felt so relaxed that my Hour Treatment felt like 2 Hours. I will not only be back for more Facial Treatment Care but I will be referring tons of Clients to her. If I were you I would book your appointment now!!! Thank you Jacqueline for a Wonderful Relaxing Treatment. I look forward to seeing you again. Sincerly Summer Shirley." "I had an amazing facial! Compliments of Spruced Now (mobile app). My experience was amazing. I left loving my skin, I felt educated and I definitely am going back! I had the C New Brightness Facial and I added on the Hydrasonic Cleanse. During my facial, Jacqueline was wonderful and explained what she was doing each step of the way. I really liked this because I felt informed, it made me feel relaxed because she knew what she was talking about and it made me feel assured that I made the right choice coming here. With confidence I can say that after visiting Jacqueline, it made me feel relaxed, pampered and welcomed. Thanks again, Spruced Now for introducing me to another wonderful person. Spruced Now is seriously the matchmaker of beauty && wellness"
"I had a phenomenal experience with your talented skills. My face looks very clean & clear. Thank you for all the work you put into the treatment. You also have a lovely studio. It's very welcoming. Thanks again." "Jacqueline was amazing! Made me feel very comfortable for it being my first time. Good atmosphere and would recommend to anyone wanting to unwind and get away from it all!" "Thank you so much!! So happy I started coming to you. You're amazing!! Definitely won't be going to anyone else!" "Jacqueline is no doubt a master at her craft. Walking in the front door, you are immediately greeted with a beautiful environment and smells that immediately invoke relaxation. Then when she takes you back to her treatment space you are again taken aback at the obvious time and care she put into creating a getaway with everything beautifully displayed and a special retreat enhanced by the scent of your choice infusing in the air. She is detailed in her explanations, yet very soft spoken as she artistically takes you away to another place as you enjoy her gentle touch, all the while being educated on exactly what she’s doing. By the time your treatment is finished, you have no idea how long you’ve been there or all that took place because now you know one thing, you don’t want to leave. I am 55 years old and never had a facial. Now I know why people do it. Not just for the skin rejuvenation but the relaxation is beyond explainable. I think everyone should experience a facial by Jacqueline. You won’t be disappointed!" "Jaccqueline is great! She really caters to your skin's needs! I've only seen her 3 times in a couple of months but I can really see and feel a differece in my skin." "The place is really inviting and cute and cozy. My pumpkin facial and microdermabrasion from my first visit left my skin TRULY RADIANT and Iwas so excited to return. It's such a wonderful and relaxing experience. I've had many facials before but this one is by far the best! Iwill certainly be a lifetime customer!" "Jacqueline was so informative and very knowledgeable about my skincare needs. My skin looks amazing. Great relaxing environment. I've already scheduled another appointment."